Mamelodi Sundowns striker Jeremy Brockie says central defender Rivaldo Coetzee gave a polished performance on debut in the 2-0 win over Leones Vegetarianos in the CAF Champions League. 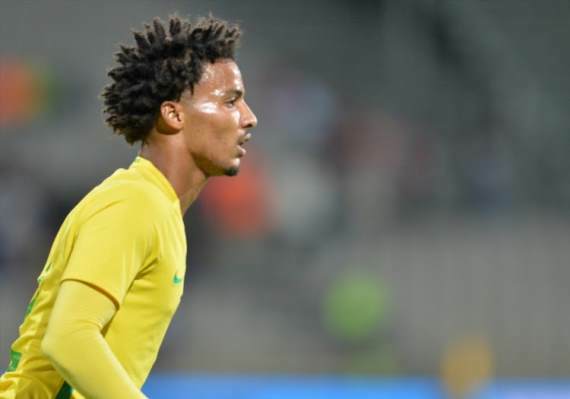 Coetzee signed for Sundowns in August 2017 however has struggled with a career-threatening foot injury and has had to wait for over a year to make his bow for the Brazilians. However, he put in a good shift on Wednesday alongside Wayne Arendse as Downs beat the side from Equatorial Guinea in a Preliminary Round first leg tie at the Nuevo Estadio de Ebebiyin. The player could feature again in the second leg on 5 December at the Loftus Versfeld Stadium in Pretoria. Brockie said: "They [Vegetarianos] were at home and we expected them to come out and play a little bit. They've got some big boys at the back and up top, so they were quite direct and looking to play off the big man at the top. "But 'Riva', first game for the club and it looks like he has been playing for years. He is a good, composed centre-back and he and Wayne put in a solid performance." In the encounter against the 'Vegetarian Lions', the New Zealand striker scored the first goal with a stunning volley before Themba Zwane sealed the victory with a second half strike.